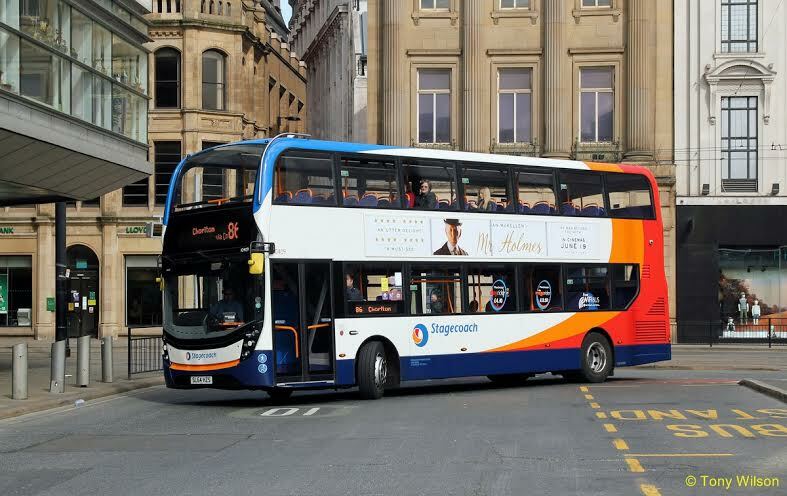 Stagecoach Group plc has today published a trading update, covering available information for the period to the date of this announcement. Recent trading has been consistent with expectations and there is no change to the anticipated adjusted earnings per share for the year ending 30 April 2016. UK Bus (regional operations) Division's trading is in line with expectations. The Division's like-for-like revenue growth continues to come principally from commercial on and off bus revenue, which is the revenue received directly from passengers in respect of travel on bus services. Growth in both commercial revenue and revenue from tendered and school services was affected by the timing of school holidays compared to last year - stronger growth is expected over August and September as this effect reverses. Concessionary revenue growth remains modest. Revenue from tendered and school services provided under contract has continued to decline, reflecting the timing of school holidays referred to above and the result of local authorities reducing spending on supported services due to budget constraints. Expansion of the megabus.com inter-city coach operations in mainland Europe is progressing and Stagecoach remain positive about the growth opportunities in that market. As we expected, the European business remains loss-making at this early, high-growth phase of its development but progress to date has been encouraging with strong demand for the recently launched domestic coach services in Germany and Italy. Overall, estimated passenger journey numbers for the Division in the 12 weeks were 0.7% below last year, which was driven by a reduction in the number of concessionary passenger journeys that reflects the poorer summer weather in various parts of the UK. 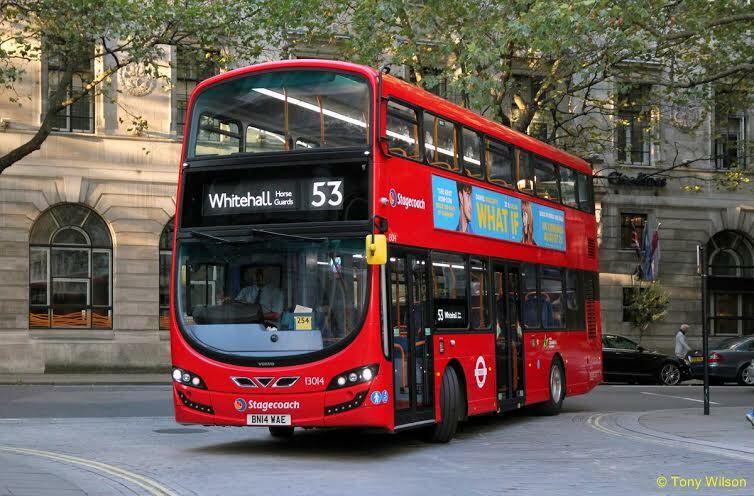 Trading at the UK Bus (London) Division is consistent with expectations. The portfolio of contracts that the Division has with Transport for London is of a similar size to the prior year and the reported revenue growth principally reflects a net increase in contract prices resulting from the renewal of and/or variations to contracts. Low inflation and the fall in fuel prices mean that the annual inflation-linked adjustment to each contract's price is minimal. The operating environment in London continues to be adversely affected by traffic disruption, including congestion resulting from road works, which affects the revenue the business receives as Quality Incentive Income based on its operational performance. The company are pleased with the financial performance of the UK Rail Division. 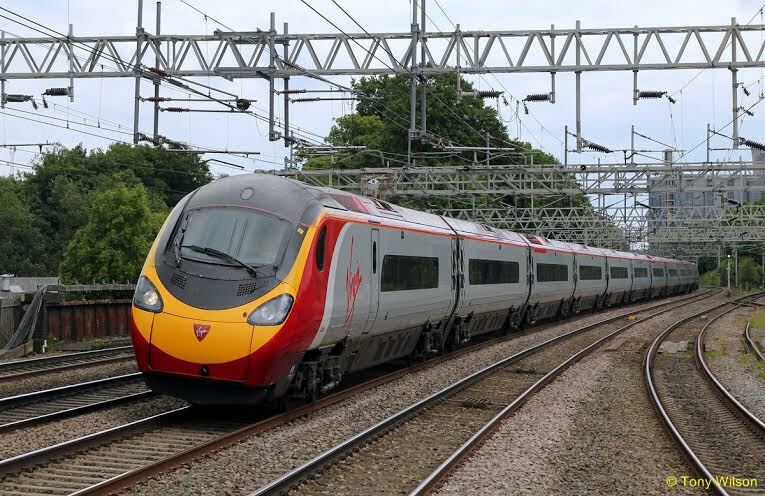 In addition to the like-for-like revenue growth of 5.5%, overall reported revenue increased substantially year-on-year in the 12 weeks due to the inclusion of the new Virgin Trains East Coast franchise, which commenced on 1 March 2015. Having been unable to agree terms with the UK Department for Transport ("DfT") for a direct award of a new South West Trains franchise to at least April 2019, the company expect applicants to be invited to tender for a new long-term franchise to commence in 2017. The current franchise is due to end in February 2017, and the DfT has indicated that it expects to exercise its pre-contracted option to extend the franchise to June 2017. It is not expected that South West Trains to earn a significant profit during any extension period. In July 2015, the DfT published a revised rail franchise schedule. The core period of the planned East Midlands Trains franchise direct award is now expected to run from October 2015 until March 2018, rather than October 2017. Constructive discussions are continuing with the DfT in respect of that direct award. The Group has submitted its bid for a new Transpennine Express franchise and its joint venture with Abellio is shortlisted to bid for a new East Anglia franchise. The successful bidder for Transpennine Express is now expected to be announced in December 2015, with the franchise commencing in April 2016. The winner of the new East Anglia franchise is expected to be announced in June 2016, with the franchise commencing in October 2016. The fall in fuel prices continues to adversely impact demand for megabus.com inter-city coach services, with like-for-like revenue at megabus.com North America in the three months ended 31 July 2015 being 3.4% below the equivalent period last year. Trading elsewhere in the North America division is broadly in line with expectations notwithstanding a like-for-like revenue decline of 6.0%, which includes the effect of some low-margin contracts that ended during the prior year. It also reflects that sightseeing and some other leisure-related businesses are being adversely impacted by strong competition and the continued strength of the US dollar. We continue to see a number of ongoing challenges to growing profit for the Division and its joint venture, Twin America, in the year ending 30 April 2016. As a result, expectations of North America operating profits have been revised down. Virgin Rail Group's West Coast rail franchise continues to perform strongly and that is benefitting taxpayers through profit share payments by the business to the UK Department for Transport. As expected, profit in the 12 weeks was significantly higher than the equivalent prior year period because until June 2014, the franchise operated under a temporary management contract. The revised rail franchise schedule referred to above envisages the franchise running until September 2017, having previously been planned to run until at least 31 March 2017. The Group maintains a strong financial position with investment grade credit ratings and appropriate headroom under its debt facilities. 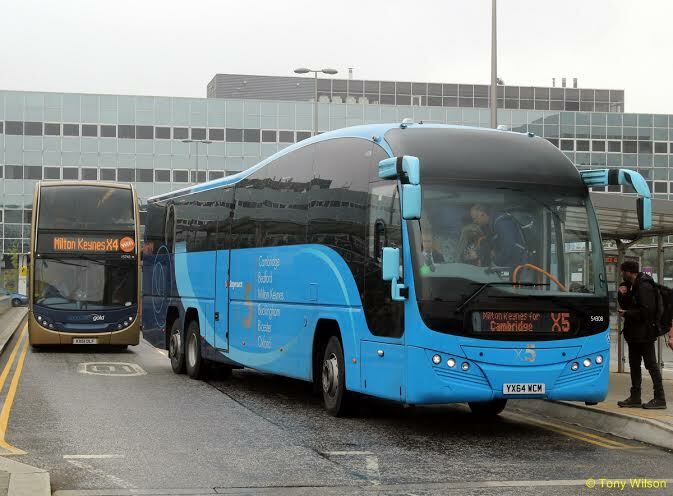 Consolidated net debt has, as expected, increased from 30 April 2015, reflecting additional investment in the bus fleet and the reversal of some favourable UK Rail working capital timing differences in the previous financial year, partly offset by continued strong cash generation from operations. Overall current trading is satisfactory and the company remain on course to meet expectations for the year.